Host Frank Stasio talks with her about what it means to love two places. When Jane Borden moved to Manhattan after graduating from the University of North Carolina at Chapel Hill, she thought she would have no trouble leaving her Southern home behind. Turns out she didn't count on the voice of her Aunt Jane, which she seemed to hear wherever she went in the Big Apple. 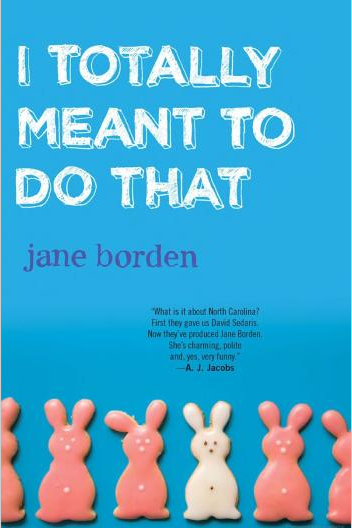 In an endearing collection of essays called "I Totally Meant to Do That” (Broadway Paperbacks/2011), Borden recalls her Southern fish-out-of-water experiences with humor and affection for both North Carolina and New York.